This article introduce some of the best platforms for watching VR content. Oculus Rift is the newest head gear for experiencing the internet as an alternate reality. Oculus provides a platform on their website to be able to utilize their headset and their newest offering Gear VR to play games, watch movies and even an education platform all in virtual reality. The coupling with Samsung allowed Oculus to provide users the ability to use their smartphones hooked to a headgear to view their videos, games and different virtual reality environments all from their website with the Gear VR. YouTube has created a new way to look into other viewer’s real time reality when they post their live streaming videos to YouTube. You can click on the video and actually move it around to get a panoramic view. You will immerse yourself deeper in the virtual reality three D experience more so by viewing these videos using a Google, cardboard viewer. The use of what they call Spatial Audio will give the viewer sound coming from all directions as if they are actually within the environment they are watching. Back in September of twenty fifteen, Facebook made available to all their hundreds of millions of users the ability to get and give total immersion videos to their news feeds which provides the viewer a three hundred and sixty-degree view. When using the web to view the videos by clicking and dragging with your mouse, you can move the video in any direction to see the entire view all around you. When using your smartphone and mobile devices you can touch the screen to move it around or amazingly enough by turning the device sideways, all the viewer has to do is turn around and the video moves with them. Vrideo started in LA back in March of twenty fifteen and has become what they call the home for immersion video. With the use of their app mobile device viewers can gain a new experience into another world by watching their videos. They also offer web content by means of Samsung Gear VR, Oculus, and Steam VR. They also allow uploads to their website three hundred and sixty-degree videos, so if you want to upload your videos for the world to see, have at it. LittlStar is a virtual reality content hub that lets viewers use headgear such as Samsung Gear VR, Oculus Rift, HTC Vive and PS four. The total submersion experience the gear delivers to the viewer is outstanding. LittlStar has apps for Apple devices and Android which they claim that mobile is going to be the ultimate way to experience three hundred and sixty-degree videos. 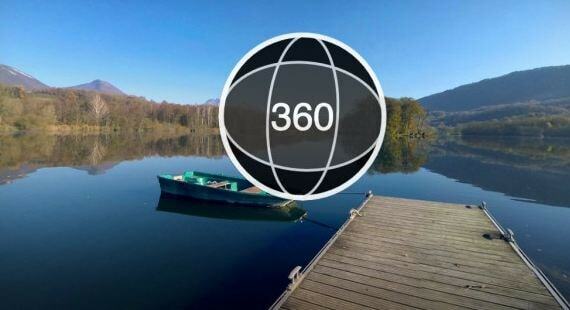 These apps let the viewers use gyroscope and touchpad and also with a Google cardboard device. 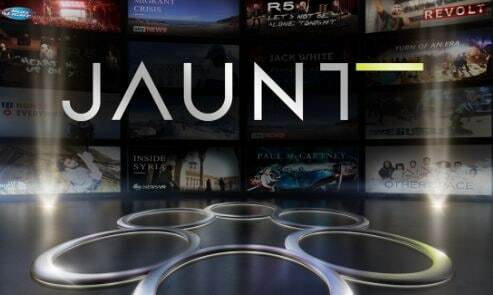 Jaunt is huge with the help of the likes of Disney and Facebook putting millions into their startup. They are a content creator for the virtual reality world. The use of their state of the art video recording camera, the Jaunt One, they claim that it provides a complete cinematic solution. On the website you have several collaborative videos with the likes of ABC and ESPN, that’s not to say all they have, but it is a technology-based collaborative hub of videos. You can use Jaunts cross-platform viewer rendering on the likes of Oculus Rift and many others. You can download their app and use your Apple device, Android or get it on Gear VR, Vive or for Oculus, it is up to you, but make sure to check out their extensive offerings. So if you are a Virtual Reality viewer and love the total sensory experience while you are submerged into a new reality, checkout all the web has to offer. It seems that almost every other week, newer technological advancements in VR are being introduced, so staying in the know will keep you abreast on the latest and greatest within the realm of virtual reality.